Creating a custom theme for Bagisto had been a hot topic lately. More and more users are actively trying our framework and we’re genuinely overwhelmed by it. Coming on how to create a custom theme for Bagisto. It’s super easy!!!. With just a few lines of configuration code. Similarly following the traditional way of creating view files in Laravel would be enough. themes.php file inside the config directory of Bagisto’s root. 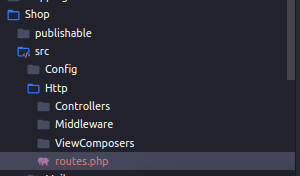 Contents of themes.php file having information of currently active theme named default. Let’s go through the parameters of this theme’s file. Because the understanding of those parameters will help you in creating a custom theme. Default parameter showing your currently active theme. parent parameter allows you to use previously existing theme files. All storefront routes are inside this file. For all views check all GET routes as they hold a view parameter with the value of view to be used. We will consistently update this blog post, so don’t forget to keep a check on it regularly. Not Clear. Can you provide a demo plz. Thanks For Reply, It would be enough if you could just change the homepage with different design but having all previous features and functionality. Expecting video tutorial to be released soon!!! Making a full video about how to customize the themes and add the files in the right directories would be very helpful. Thank you for your suggestion. We will do come up with video regarding customizing theme in bagisto soon. Do not forget to cover all get routes of shop package having a parameter called ‘view’. ===> Where to cover this?